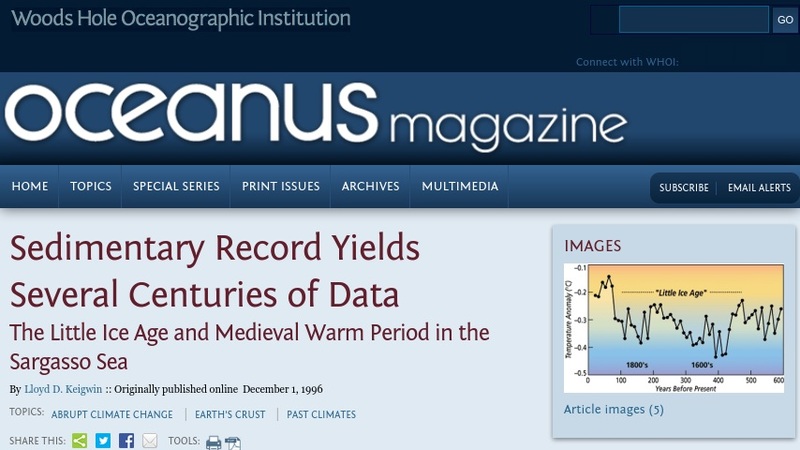 This Oceanus article discusses reconstructing past climates based on proxies in ocean sediment. It focuses on climate during the Little Ice Age and Medieval Warm Period based on foraminifera data from the Sargasso Sea. The results from this study are unique in that they are the first deep sea ocean sediments to resolve climate during these times, they show a long warming trend, and they enhance other North Atlantic climate models (past and future). This article features enlargeable color diagrams and photos.